Generally, variable frequency drive (VFD) manufacturers do not make filters and vice versa. Now you have a finger pointing situation between manufacturers in the warranty period. A packaged solution always turns out to be the most cost effective solutions there is one point of responsibility if a problem occurs. A properly sized filter that is most suitable for the application is always better. Today's active filters are constantly monitoring the equipment and only inject enough corrective current to cancel out the harmonic current in the system. So there is no opportunity to ever see a leading power factor. With passive filters, there is a contactor that is controlled by the variable frequency drive to turn on and off the filter to prevent a leading power factor condition. You have 2 devices but as far as function goes, a variable frequency drive preforms work and a filter preforms harmonic mitigation. As far as who to blame is simple. No work bad VFD. No filtering bad Harmonic device. 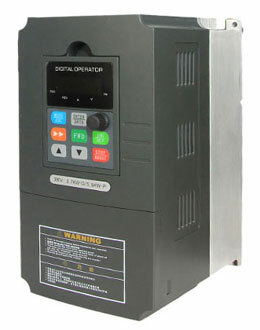 Remember, you can run a VFD without a filter, you can't work without a variable frequency drive. The bottom line is supply the best solution at the most economical price without sacrificing performance. I would also like to throw SVC product into the ring here. This uses any manufacturers variable frequency drive and monitors the BUS voltage regenerating the energy back into the mains via a Harmonic filter. They have solutions from 7kW up to 1MW and we have been supplying them into a number of industries for many years. On the plus side, it also means you can use an existing installed variable frequency drive and retrofit the unit should you be using resistors for the braking power.